Just when it looked like things were starting to calm down for Uber, after its federal investigations and the Benchmark lawsuit, investor Shervin Pishevar has stirred things up again. When Benchmark, an early investor in Uber with a spot on its board, had sued founder and ousted CEO Travis Kalanick for fraud, Shervin, another major Uber investor and former board member, stepped to his defense. And how. 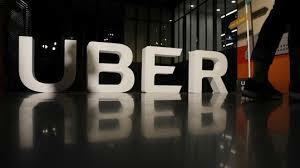 Wednesday, while the new Uber CEO Dara Khosrowshahi held a meeting with his new employees in San Francisco, Pishevar was in a Delaware courtroom, where a judge decided to send the case into arbitration. To mark this grand occasion, a Pishevar spokesperson released a letter Pishevar wrote to his lawyers last week, as they prepared to file that motion. And boy, is it something. Before you even begin to read the letter, understand that it reads as if Shervin held a thesaurus in his hand while writing it. The sentences are so convoluted and completely devoid of logic that sometimes, your eyes may have to scan them at least 4 times before you even begin to understand what it probably means. Shervin asks his lawyers to “pause” for a moment, “when we find ourselves swimming in the crucible of one of the grandest business and moral battles of our generation, and find strength in each stroke of our proverbial digital pens, that we wrote with the indelible, eternal and permanent ink of righteousness.” Permanent ink of righteousness? Shervin, perhaps, has a second career as a poet. Even if a bad one. He then goes on say that Uber is a messiah of the souls of thousands and talks about “the lives of millions of jobs created liberating multitudes of drivers from the shackles of servitude to iniquitous taxi cartels of corrupt cabals that choked cities with their pollution of air and morals.” Looks like someone’s been reading a lot of philosophy lately! Shervin is appalled by the timing of the entire lawsuit, which coincided with the passing of Travis’ mom, “We write with the spirit of Bonnie Kalanick, who raised her son with deep unconditional love and unfading faith in his ability to do good for the world,” he wrote rather emotionally, adding that her “tragic and untimely death was used against her son at his most vulnerable, unspeakable time of pain. They chose to strike at a moment of a devoted son’s retreat and leave of absence to mourn the absence of the inviolable love of his mother.” Here, instead of feeling emotional about the entire incident, Shervin’s letter almost makes a mockery of it, making Travis seem like a superhero who is out to save the world. And it looks like Benchmark may have been his kryptonite! And hence, this march towards justice, Shervin says, is in Bonnie’s memory, also pointing out, rather eloquently (or not) that every must “defend what is right and to protect the interest of not only shareholders but most importantly the far more important stakeholders of employees, drivers and customers whose lives have been forever altered by the abiding faith and fervent hard work of Travis Kalanick and the Uber team.” And again, a man who has lived to serve others. Does this sound like someone we know? Hmm..
On a rather apocalyptic tone, Shervin ends his letter with the latin proverb _fiat justitia ruat caelum_, ‘Let justice be done though the heavens fall’.